Tucked between two bushy headlands, just north of Mission Beach is Garners Beach. 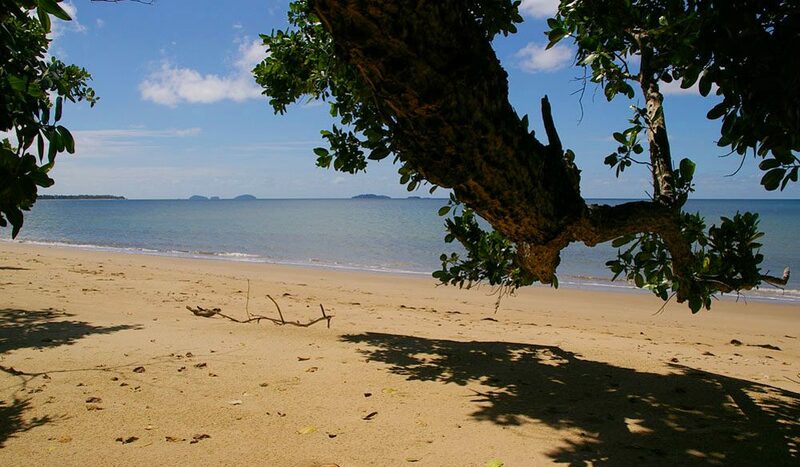 Still relatively undeveloped apart from a quiet back road, the beach is fringed by rocky outcrops, sandy flats and coral reefs, while the protected location means the water is consistently calm. The beach nearby to the south is even more special: Brookes Beach. One of the few remaining beaches with no road defacing its edge, and the endemic flora in tact: see Australia as it was before we stuffed it up!